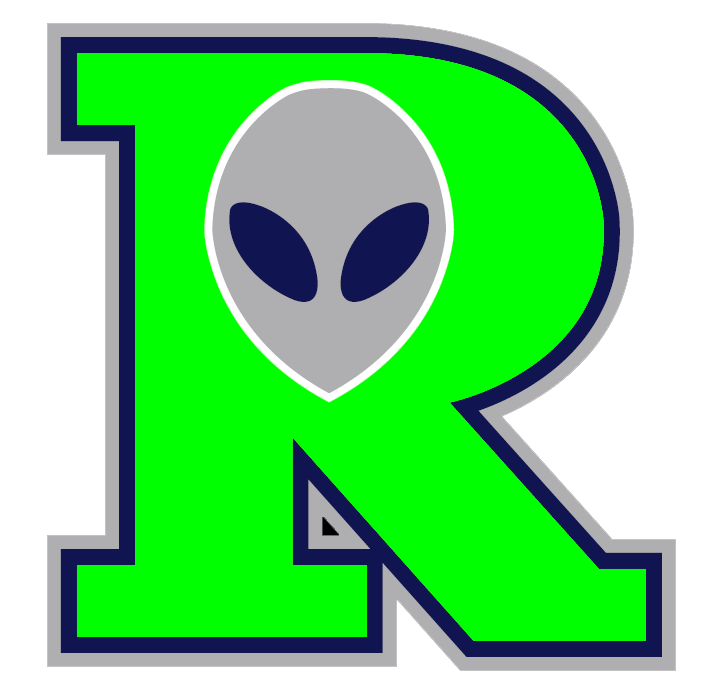 ROSWELL � Whether it�s the water or the aliens or just something at Joe Bauman Field, the Invaders have been heart-attack kids for as long as they�ve been playing � managing to pull out games at the last minute and giving the fans their money�s worth. And they did it again Wednesday, topping Las Vegas 11-10 in a back-and-forth game that was won on a walk-off single by Roger Bernal � who hit a grand slam Tuesday to secure that win. 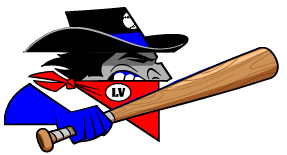 Las Vegas had the upper hand early, leading 1-0 on two singles and an error then going up 3-1 in the third on singles by Matt Grosso and Randy Wells, and a 2 RBI double by Chris Wilson. 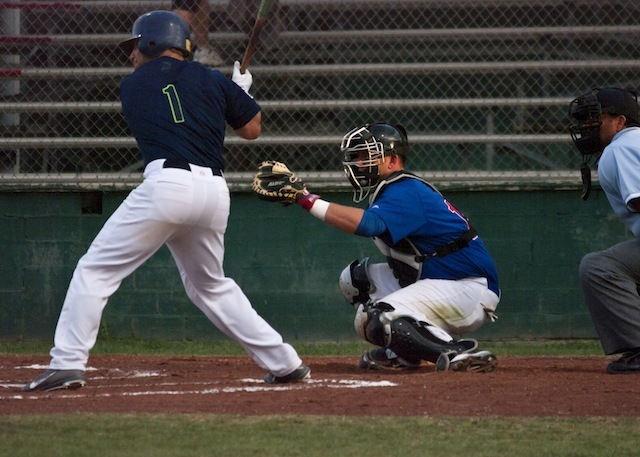 But the Invaders used the long ball to go up 4-3 in the fourth � Nate Theunissen brought in Vincent Mejia on a smash to right center, then singles by Andrew Deeds and Andrew Shoemaker and a passed ball gave Roswell the lead � and 7-4 in the fifth. After Grosso, Wells and Wilson hit back-to-back-to back triples to score one run in the top of the fifth, Bernal singled, Mejia walked and Charles Dubanoski hit it over the fence for a three-run home run. 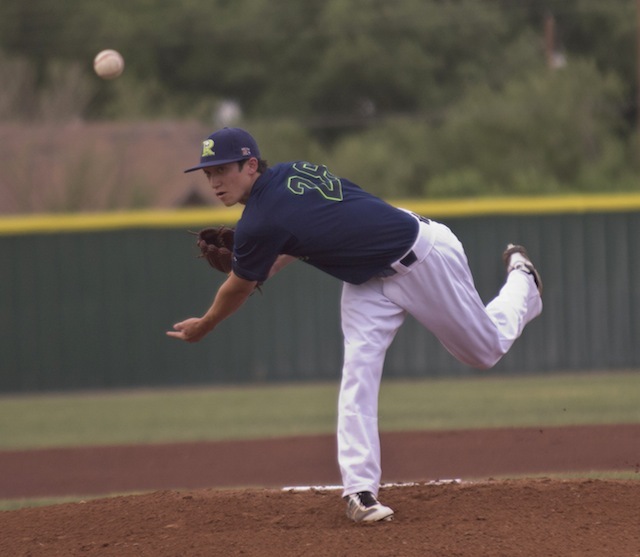 But four Roswell relievers � Shoemaker went four complete, then Eric Lambe, Will Scott, Scott Elitzky and A.J. Martin wrapped up the game � couldn�t hold the Las Vegas batters. 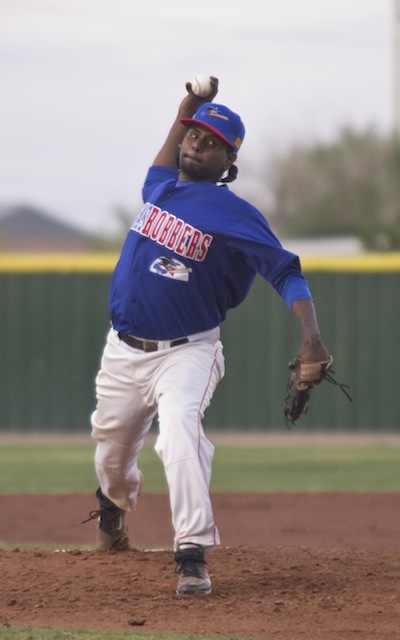 The Train Robbers scored two runs apiece in the sixth, eighth and ninth innings, taking the lead in the eighth when Will Walsh was hit, stole second and came in on a Gross single. Gross scored the go-ahead run on a passed ball, fielder�s choice and Ryan Laur single, then Vegas added two more runs in the ninth to go up 10-7. The inning didn�t start well, as former Invader Adam Kam struck out and was ejected for arguing the call, but Eddie Medina and Ricky Brown each singled and came in on a Wilson double. 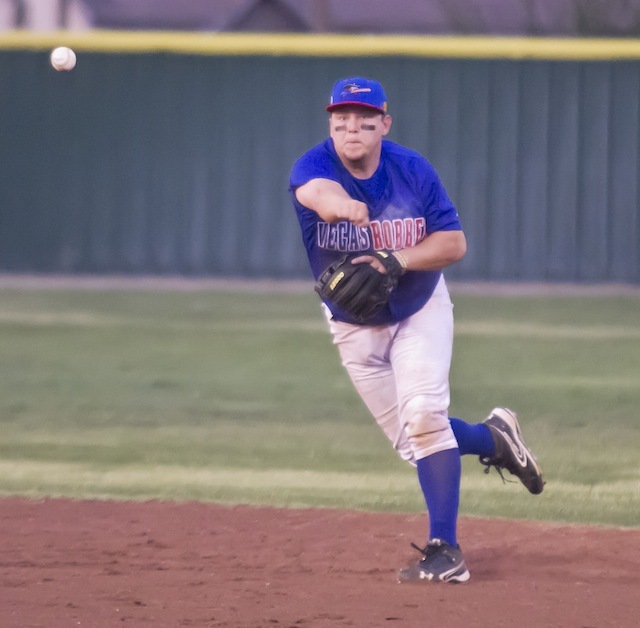 All Brandon Petrangelo, who came in to pitch in the bottom of the ninth, had to do was get three outs. But Dubanoski doubled, Nate Theunissen walked, Deeds was hit to load the bases and pinch hitter Mike McCarthy was hit, scoring Dubanoski. Erick Gaylord made it 10-9 with a sacrifice fly, then, after Ryan Normoyle walked, Bernal hit the game winning single that sent the crowd into a frenzy. Martin got the win and Petrangelo the loss, with Las Vegas starter Greg Fowler giving up seven runs before relievers Ben Runyon, Michael Kershner and Medina shut the Invaders down for 2-2/3 innings. While Ebright was once again happy with his team�s offense, he wasn�t as pleased with the pitching. But going 2-0 to open the season? That feels good. The two teams meet again Thursday in the middle game of the five-game series with first pitch at 7 p.m.